Whether you’re doing a full bathroom remodel or just a quick update, you’ll have a budget in mind. Get the most for your money with our expert tips. The first rule to renovating a bathroom on a budget is to keep your existing layout. When you move sanitary ware you’re likely to need to move soil pipes and water inlets, which will add to your costs. If your existing setup works for you, keep it. There are plenty of ways you can update the space without a complete overhaul. Our expert tips will give you a head start: find out where you can save, how to avoid false economies and how some small changes can make a big difference. 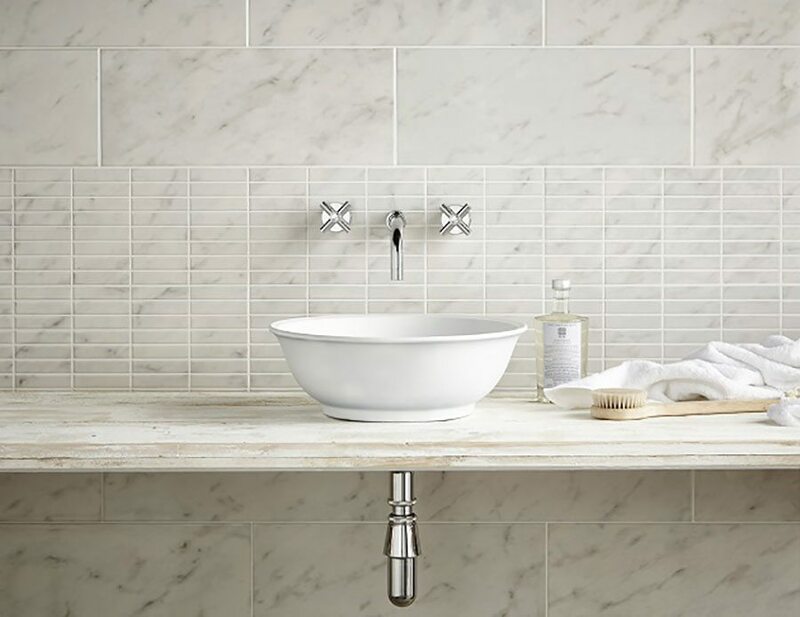 Roper Rhodes’ Note sanitaryware range has been extended with a slim-depth semi-countertop basin for use with fitted furniture with a minimum depth of 215mm. It’s priced from £248. Framed shower enclosures tend to be cheaper than frameless models. 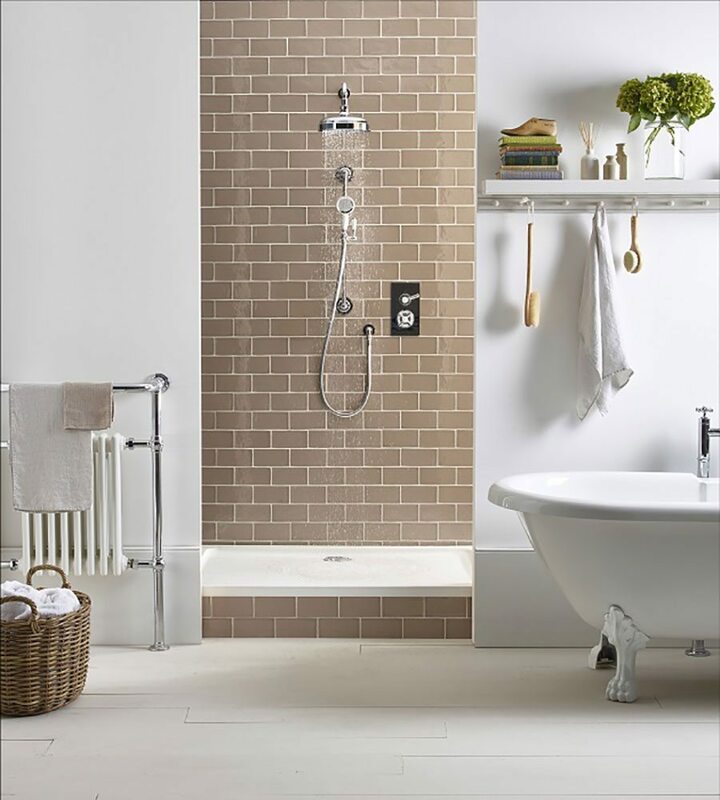 If you want a streamlined look, shop around for a sleek, slimline frame and team it with a low-profile shower tray. This will also allow easy access to the shower cubicle. Shower enclosures are made from tempered glass (aka safety glass) and come in various thicknesses. This will have a bearing on price: the cheapest enclosures are usually made from 4mm-thick glass while more expensive models are 8mm or even 10mm thick. Glass of 6mm strikes a happy medium between quality and price, and has a substantial feel that’s often missing with cheaper doors. Start your research online, comparing and contrasting brands. Once you’ve narrowed down your options, there’s no substitute for seeing them in the flesh. Set aside time to visit showrooms and test a few doors for yourself. Check fittings at the same time to avoid adding costs later: look for quality hinges, pivots and rollers to ensure your enclosure will stand up to regular use. 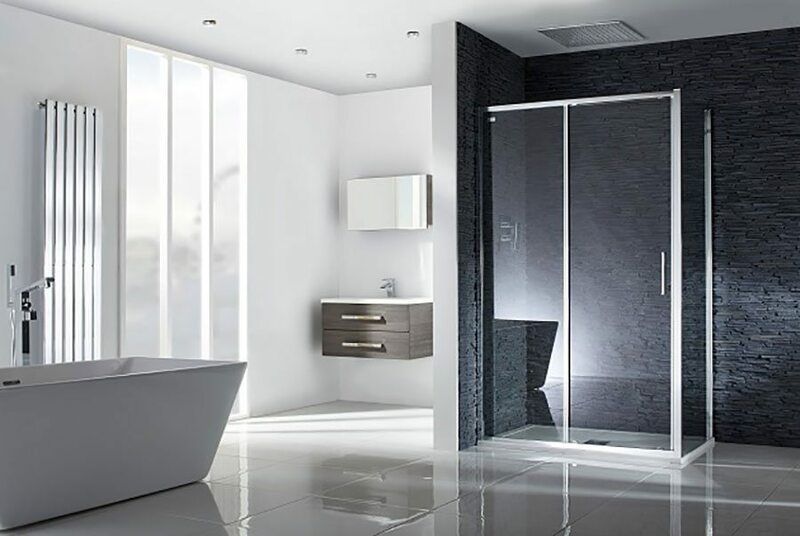 With a height of 1950mm, this Pure Plus sliding door enclosure from the Pure Bathroom Collection at Smiths Briten features 6mm toughened safety glass. It’s priced from £484. A concealed shower (with valves and pipework hidden in the wall) creates a much-coveted minimalist look to the bathroom. However, it’ll cost more to install because the pipework will need to be chased into the wall. Save money with an exposed system; just make sure to avoid bargain basement products. You’ll be using your shower daily, so it’ll need to be sturdy enough to stand everyday wear and tear. No boiler or hot water pipe running into the shower room? No problem: install an electric shower. It’ll only heat the water used so won’t waste heat, plus it’s likely to be reasonably priced. Saving water translates to saving money, so think water wise when selecting your showerhead. Some offer an aerated flow, injecting air into the water to produce larger droplets. Less water is used but you won’t compromise on showering quality. Other showerheads feature an eco mode. Part of the York brass-ware range by Laura Ashley Bathroom Collection, the York concealed dual function shower system is priced from £595. Think carefully about your habits and lifestyle when you’re looking at a new bath. How much do you intend to use it? Could you get by with a shower and splash your cash on a quality model? 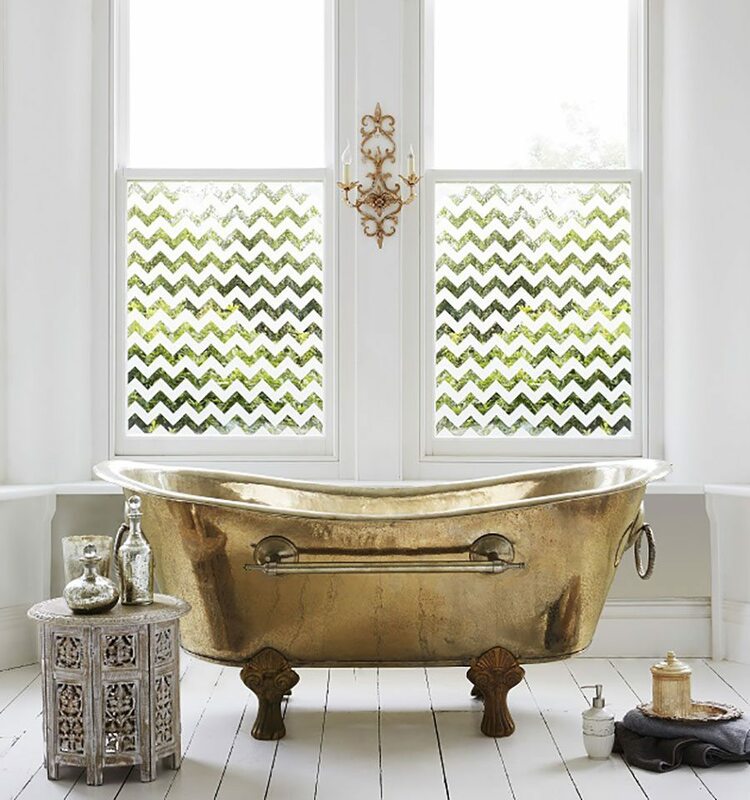 If you can’t give up your long luxurious soaks, you can save costs by opting for a fitted bath: they’re generally more affordable than freestanding baths of the same quality. 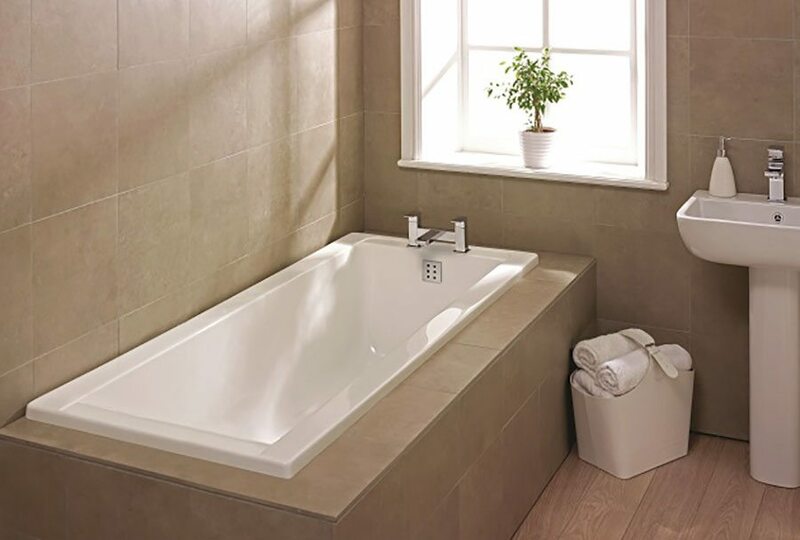 That said, freestanding tubs are becoming more affordable in recent years, so it’s worth shopping around. Small bathroom? Consider a space-saving shower-bath offering the comfort of a bath with the convenience of a shower. And if you have enough space for both a shower and bath but use the latter less, an inexpensive acrylic bath is perfect for infrequent use. The Linear single-ended bath in acrylic, £225, is available in six different sizes at Frontline Bathrooms. Whirlpool and underwater lighting options are available at additional cost. Think twice before spending on wall-hung sanitaryware. It’s fashionable and may seem competitively priced, but you’ll pay extra for installation because the cisterns and brackets will need to be concealed within your walls. You can save by choosing a suite rather than individual elements, too – and you’ll get a cohesive look that will always appeal. And what’s more timeless than white? It never goes out of fashion. 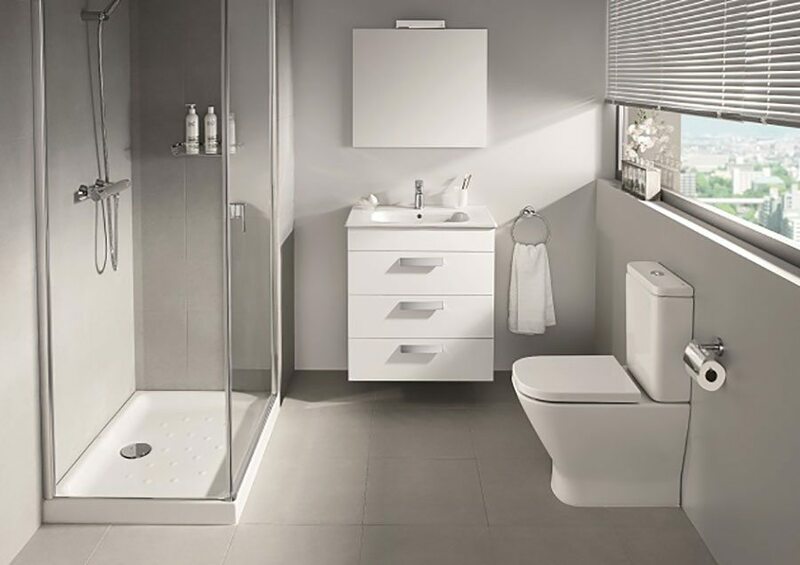 Roca‘s Debba range includes this wall-hung basin, priced around £77.90, and the Debba close-coupled WC, £105.03. Generally, you get what you pay for with brass-ware, so avoid the temptation of super-cheap products that you’ll need to replace. Invest in brass-ware from a quality brand that uses durable materials and offers generous guarantees. Although current trends are for metallic finishes, you can’t go far wrong with timeless polished or brushed chrome, which not only suits contemporary and traditional-style bathrooms, but also won’t date. 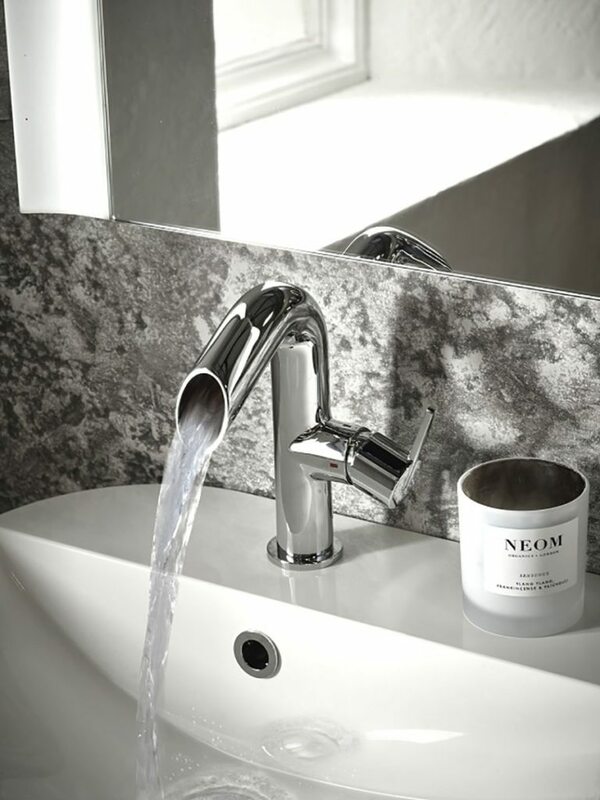 Featuring a sculptural, tubular design, the Scope basin mixer with click waste has an open spout to create a striking waterfall effect. Priced around £137.50 at Roper Rhodes. 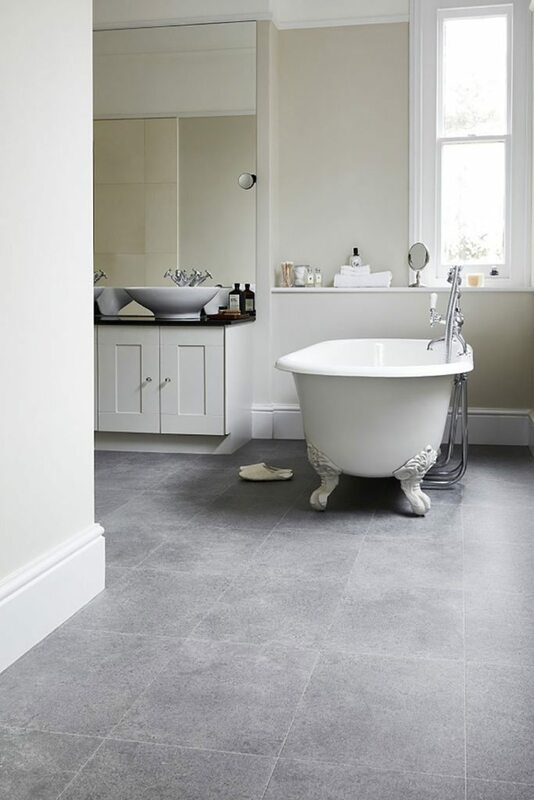 Durable, easy to clean and available in a wide range of sizes, patterns, colours and materials, tiles are always a popular choice for bathroom walls and floors. In fact, there’s not much that can’t be achieved with tiles. For example, if you’ve fallen in love with the rustic look, look at the fabulous selection of stone or wood-effect tiles currently available. They’re significantly less expensive than the real thing and come without the maintenance issues commonly associated with wood or stone. Fallen for expensive tiles but can’t afford to use them everywhere? Why not limit them to a statement wall and then paint or even wallpaper the rest of the bathroom? 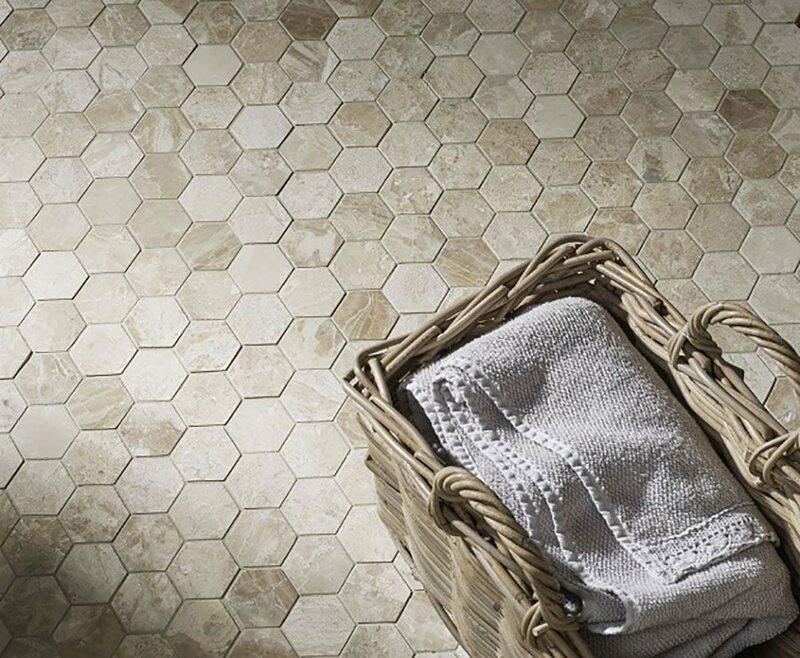 Bring a splash of style to your bathroom floor with Vanilla Cream marble hexagon mosaics, £4.54 per sheet or £58.21 per square metre at Tile Trader. Once you’ve created a tiles shortlist, order samples. “This will give you the opportunity to try out the tiles before committing to placing a large order, ” Peter advises. If you’re concerned about over-ordering, use online calculators (such as the one on Tile Trader’s website) to work out the number of tiles and amount of grout you’ll need. This ceramic wall tile has the look of Carrara marble but is low maintenance and doesn’t need sealing. It’s priced £12.99 per square metre at Tile Mountain. Laminate wall panelling is an increasingly popular alternative to tiles. You can install 100% waterproof panelling in just a few hours – a huge improvement on the days it can take to put up tiles and grout. “The panels are very easy to clean with a simple wipe down, there are no grout lines to scrub at and they don’t need any ongoing maintenance such as re-sealing either, all of which are important when you consider on-going costs,” says Stuart White, managing director at Bushboard. “You can even create the style and look of materials which are on-trend in interiors but would not usually be considered suitable for a bathroom environment, such as weathered timbers, stone and concrete, because the panels won’t swell or degrade over time,” Stuart adds. 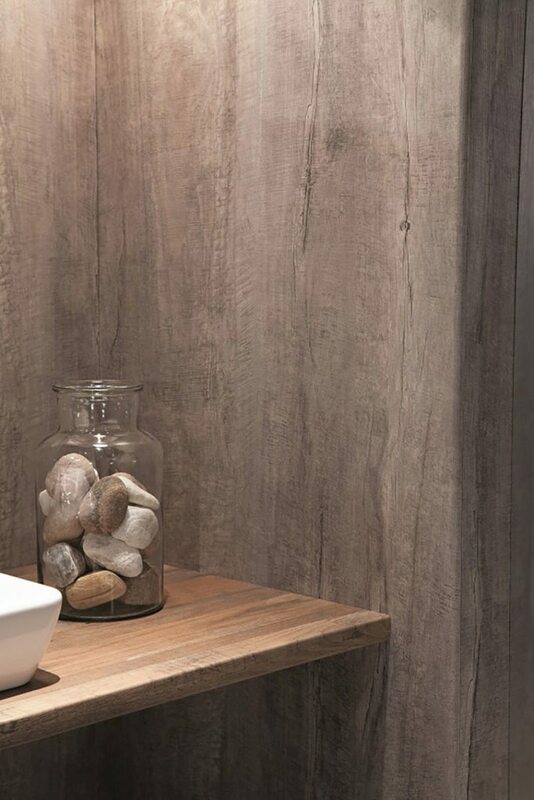 Bushboard Nuance wall panelling in Weathered Beamwood features a 100% waterproof core, giving the look of real timber in your bathroom. Expect to pay from around £90 per square metre. 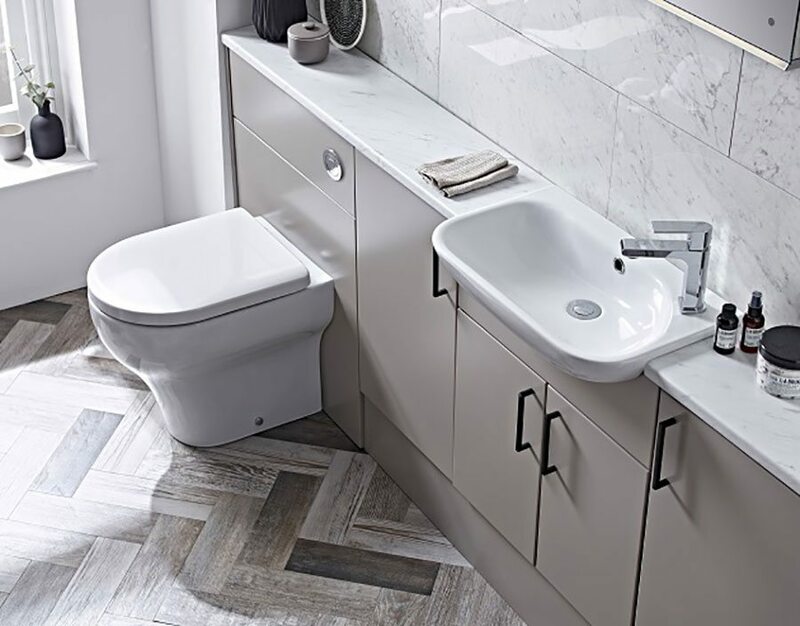 Vinyl is a great value choice for your bathroom: it’s affordable, resilient, easy to clean and available in an impressive range of designs, including wood and stone-effect designs. It comes in two formats: sheet or luxury vinyl tiles, the difference being that sheet vinyl comes in rolls (similar to carpet), while vinyl tiles are smaller and slot together. Sheet vinyl is simple to install. It arrives in one piece that’ll need to be cut around any stationary units. If you’re an experienced DIYer you’ll be more than capable of tackling this; you won’t need to call a professional unless the job is particularly tricky. Just £24 per square metre, Factory is a sheet vinyl from The Luxury Trends Collection by Leoline, available in widths of two, three or four metres and with a 10-year guarantee. 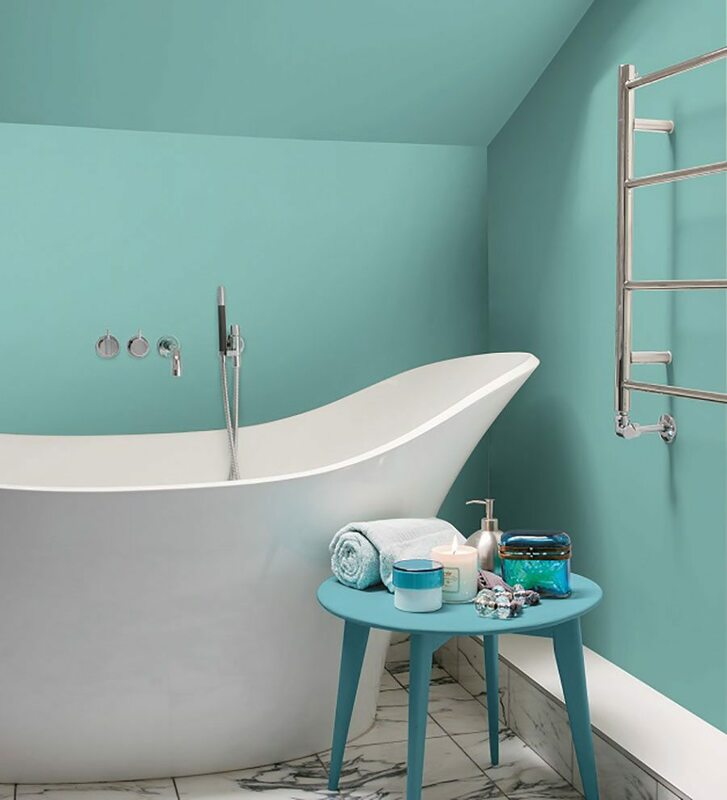 A lick of paint will instantly refresh your bathroom, but make sure you pick one that’s suitable for hot and steamy conditions. Many large brands offer specialised paints that are tough enough to resist mould and mildew. The v500 Kitchen & Bathroom paint from Valspar costs £27. 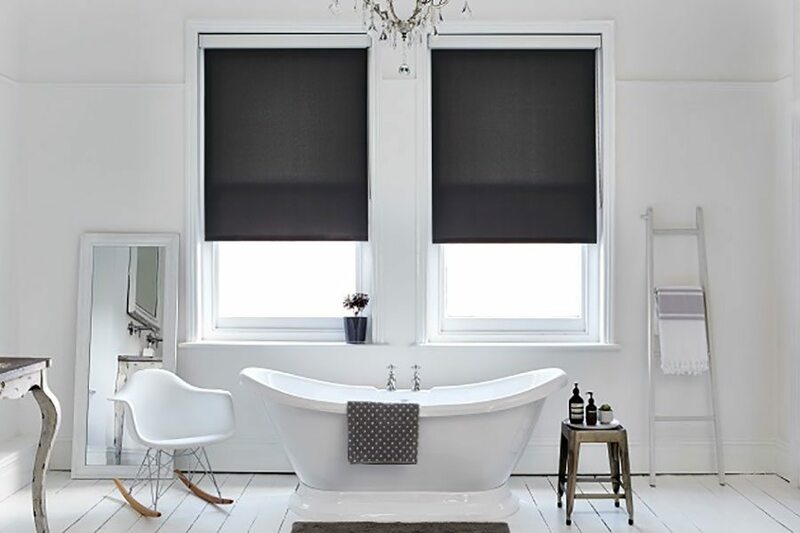 Dress your bathroom window for less with ready-made blinds, which are available in a range of sizes online or in-store. Condensation and steam can build up in the bathroom, so steer clear of natural materials and stick to man-made materials. According to Bloc Blinds, blinds are typically replaced every seven to eight years, even though the hardware is designed to last a lifetime. Bloc Blinds’ Fabric Changer System addresses this by allowing you to change the fabric of your blind as often as you like thanks to hook on, hook off technology. If you’re not a fan of blinds, prevent passers-by seeing into your bathroom with a decorative film from The Window Film Company. Install it yourself or call a qualified installer if you’re feeling cautious. Available in a range of splash proof and wipeable PVC fabrics, Bloc Blinds start from £29.95. Protect your privacy with a window film from The Window Film company from £30. Novice upcyclers should start small, perhaps by repainting an old piece. Before you start, make sure you won’t devalue the item: “The whole aim of upcycling is to add value,” Angela explains. “Clean your piece thoroughly with sugar soap prior to painting to remove any polish or grime residue,” says Angela. “Sand down any flaking and fill holes with a proprietary product. 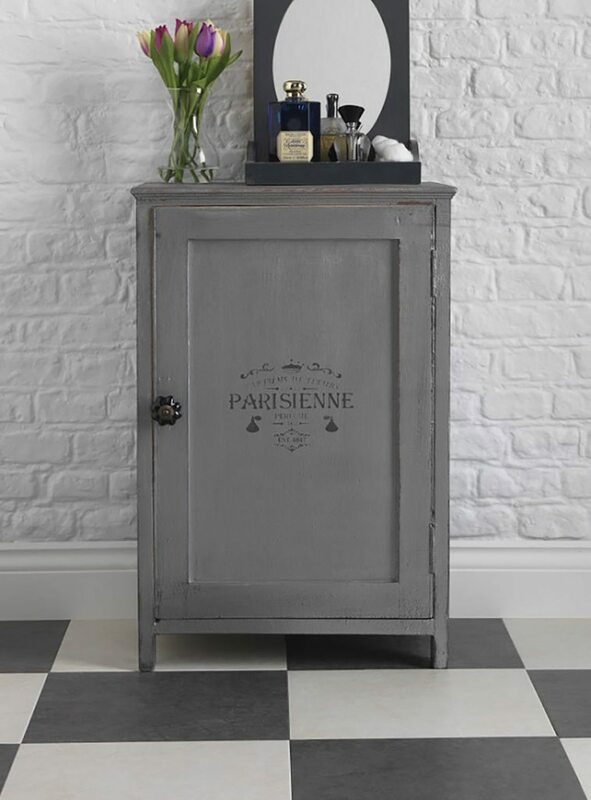 This cabinet is painted in Everlong Noir chalk paint (£15.50 for a 500ml tin) and finished with a coat of Mercury metallic paint priced £15.95 for a 250ml tin. New towels and accessories can add new character to a lacklustre bathroom – and they don’t have to be expensive. In fact, going cheap means that you can switch up to match seasonal trends. 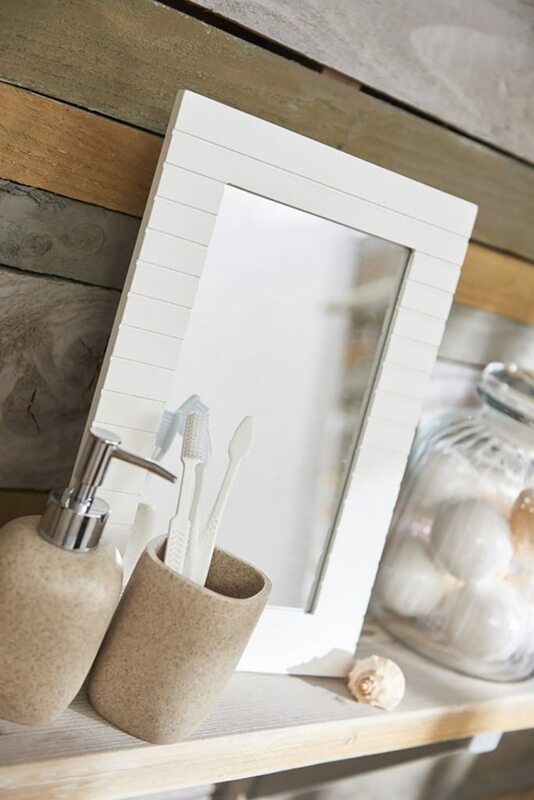 Other small changes can make a big difference, too: for example, switch the handles on your vanity for an instant fresh look. This freestanding wooden mirror (£12), Sandstone soap dispenser (£5) and Sandstone number (£4) are all from Wilko’s S/S17 collection. Planning your project accurately can save you time and money. 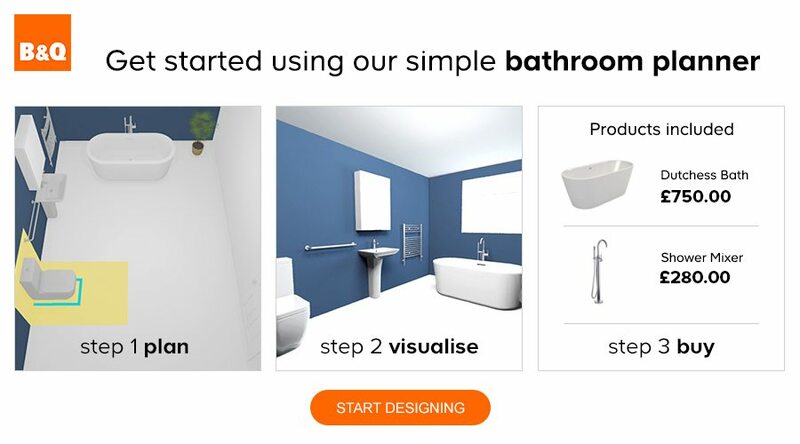 Try the new B&Q bathroom planner and see how your ideas will transform your home.